Tata Motors Finance Holdings, a Tata Motors subsidiary buys a 26 percent stake in TruckEasy, a tech based freight aggregator owned by Loginomics Technologies, a Bangalore based logistics company. The investment provides Tata Motors an idea into the fast growing transformation in the freight logistics space and also to get the market dynamics in the intra-city freight movement. 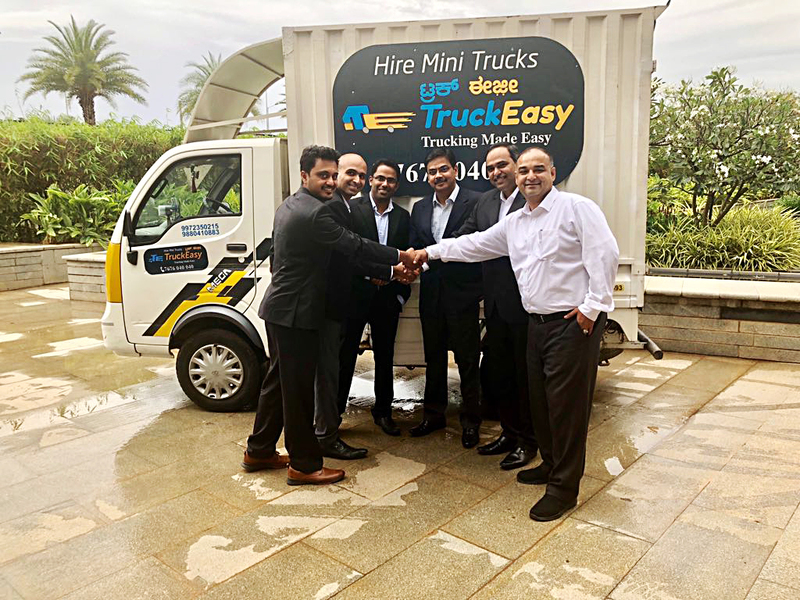 Through this investment from Tata Motors, TruckEasy will be able to access our wide network to grow the supply side and also to expand to multiple locations country wide. With an objective to enable the Trucking Community better lives and improve their livehood, Tata Motor continued its endeavor of bringing smart solutions. The data analytics provided by TruckEasy will be further used for research and development thereby allowing for better customization of products specifications. It also helps Tata Motors to get closer with the customer and load consigner thus delivering better products and solutions. Founded in 1945 and headquartered at Mumbai, Tata Motors is a leading global automobile manufacturer of cars, utility vehicles, buses, trucks and defense vehicles. It has operations in the UK, South Korea, Thailand, South Africa and Indonesia with a strong global network of 76 subsidiaries including Jaguar Land Rover in the UK and Tata Daewoo in South Korea. It is one of India’s market leaders in commercial vehicles and amongst the top four in the passenger vehicles market.